A University of Michigan and Veterans Affairs research team has developed a novel, personalized lung cancer screening tool that accounts for past asbestos exposure. Asbestos exposure is best known as the primary cause of mesothelioma, but it also significantly increases the chance of developing lung cancer. Adding asbestos to the lung-cancer screening tool also should help identify mesothelioma in its earliest stages, when it is most treatable. Mesothelioma is not usually diagnosed until it has progressed into stage 3 or stage 4, when treatment is more palliative than potentially curative. 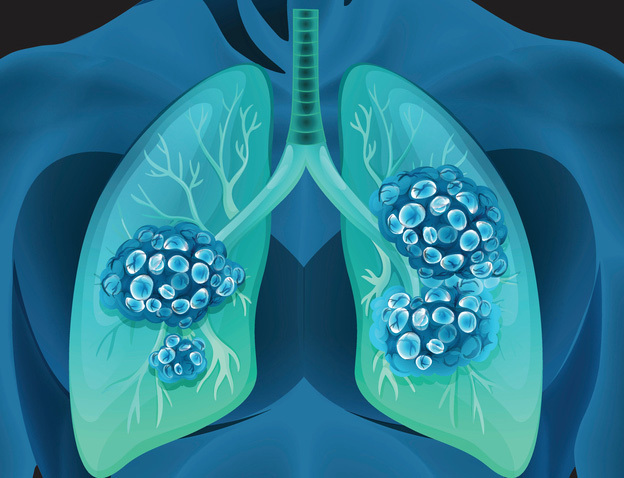 The tool is designed to better identify people who may benefit — and who won’t benefit — from low dose computed tomography (CT) screening for lung cancer. Early CT screening has become more popular in recent years, leading to a reduction in lung cancer mortality, yet it remains a controversial topic. More than 200,000 Americans are diagnosed with lung cancer each year, and it remains the leading cause of cancer death in the United States. The innovative screening tool stems from a study the team published May 29 in the Annals of Internal Medicine. It details best practices for doctors to personalize lung cancer screening decisions for each patient. The study explores individual lung cancer risks along with potential benefits. It also explores patient attitudes concerning problems and consequences that could arise with screening. The U.S. Preventative Services Task Force and other groups recommend annual screening for people at high risk, but there remains considerable debate because of the benefit vs. risk factor. Early diagnosis leads to more effective treatment, but critics believe unnecessary CT scans also lead to false-positives, too much radiation exposure, an overdiagnosis bias, overmanagement of tiny nodules, unnecessary surgeries and poor cost management. From the study came a Lung Decision Precision tool that is available for doctors and patients. You worked in one or more of the following occupations: Asbestos worker, insulator, lagger, plasterboard worker, dry waller, plasterer, ship scaler, ship fitter, rigger, shipyard boilermaker, shipyard welder, shipyard machinist, shipyard coppersmith, shipyard electrician plumber or pipefitter, steamfitter, or sheet metal worker. You worked in this job for at least five years. You began working in this job at least 15 years ago. The occupations listed under the asbestos exposure question all carry a high risk for developing mesothelioma. When it comes to lung cancer screening, most oncologists have been using the U.S. Preventative Services Task Force recommendation when advising patients on whether to undergo the annual CT screenings. The recommendation includes adults between the ages of 55 and 80 who smoked at least a pack of cigarettes a day for 30 years, and who either currently smoke or quit smoking less than 15 years ago. The new tool adds a strong focus on personalizing the pros and cons of screening by examining attitudes of each patient. The study talks about patients who may dislike getting medical tests in general, how they feel about looking for problems when they feel fine, and how they view the prospect of follow-up scans. Institute for Healthcare Policy & Innovation, University of Michigan. (2018, May 28). To Scan or Not to Scan: Research Shows How to Personalize Lung Cancer Screening Decisions. Caverly, T. et al. (2018, May 29). Identifying Patients for Whom Lung Cancer Screening is Preference-Sensitive: A Microsimulation Study.